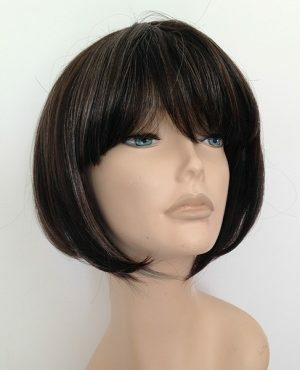 Perfect for the up to the minute fashion hair, excellent quality Japanese fibre with soft feel and modern cut. 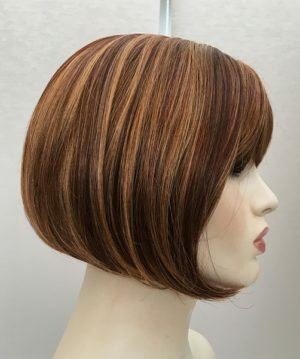 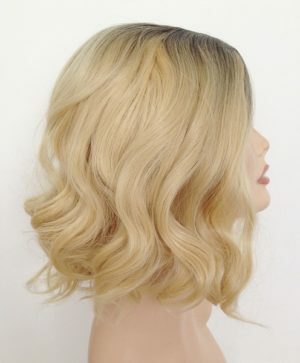 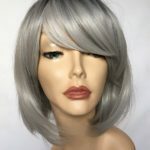 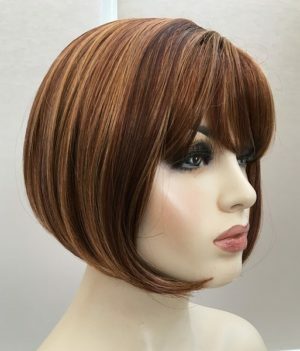 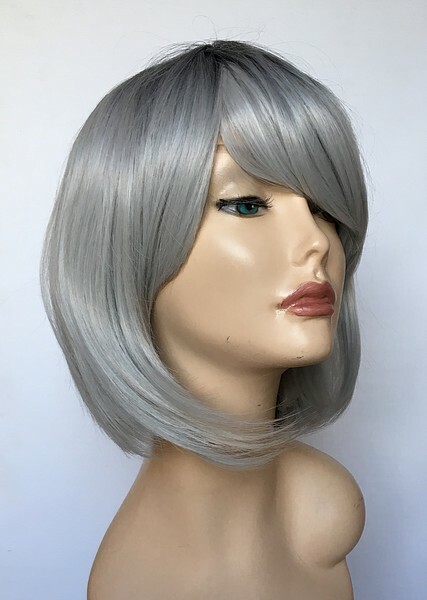 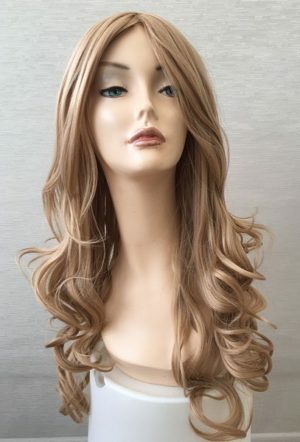 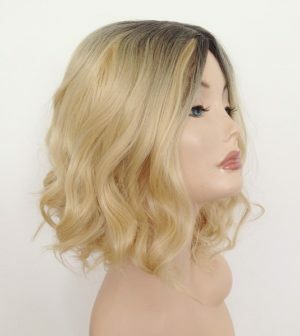 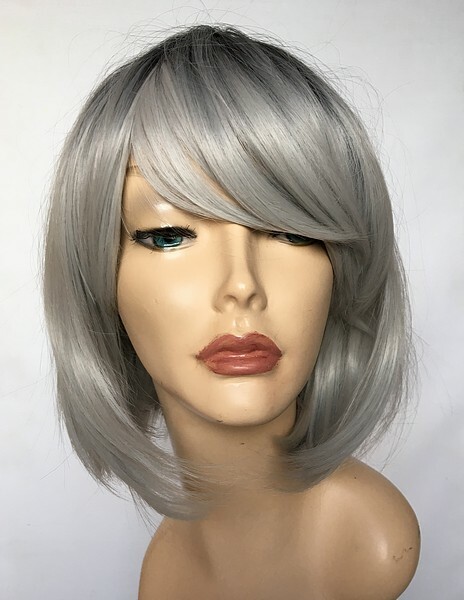 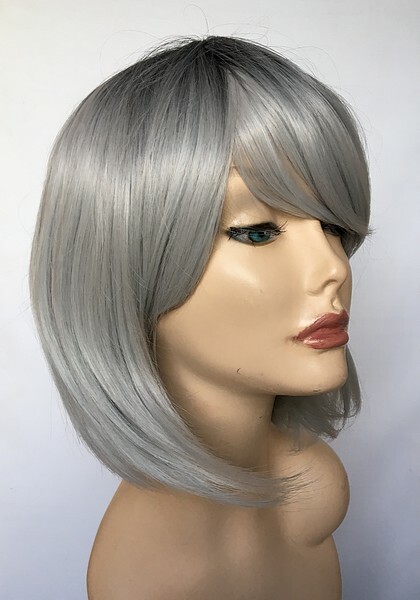 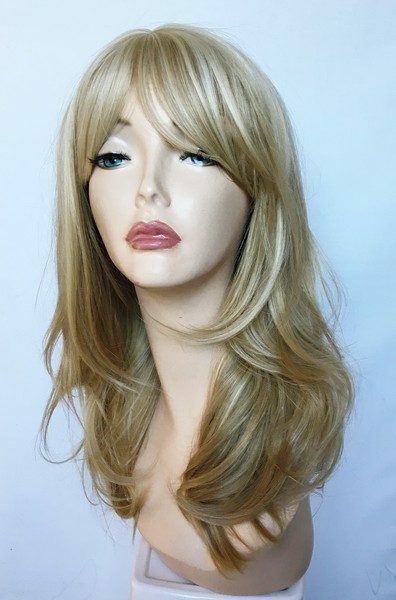 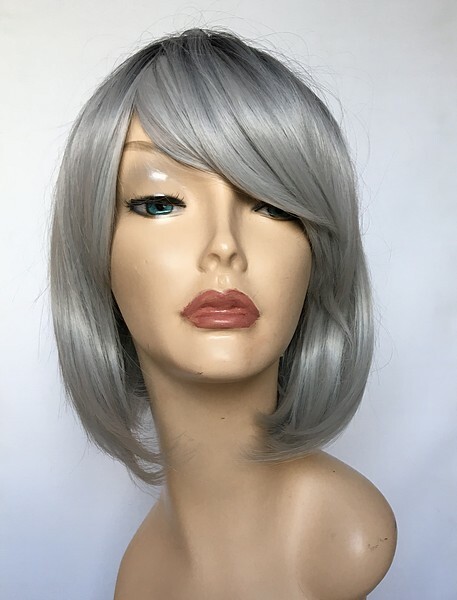 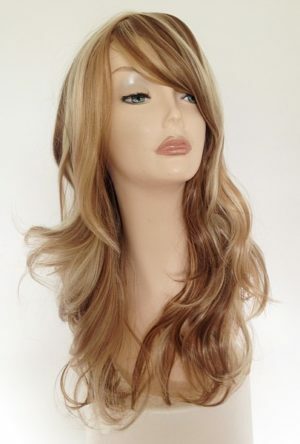 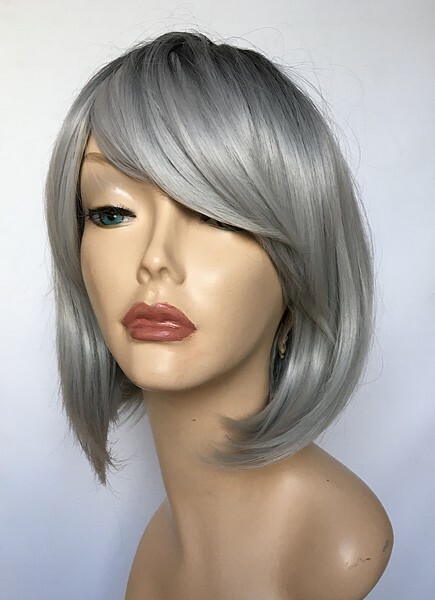 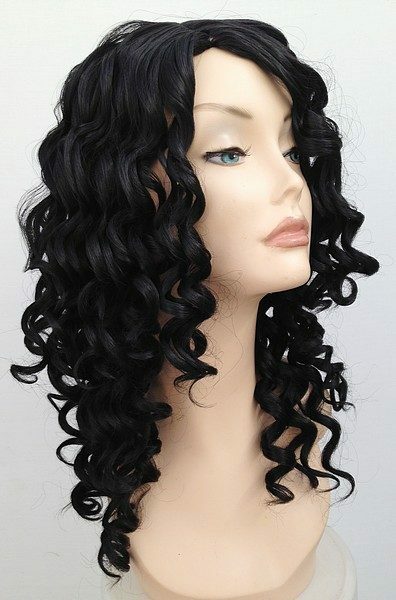 Synthetic ladies wigs are so versatile and easy to care for, the style is pre-set in the manufacturing process which means you simply have to shake out your wig and wear. 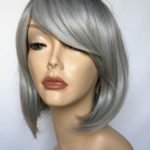 Our wigs can be used for all purposes, for medical reasons, confidence boost, change of style and image, a wig is a superb way to update your look with minimum fuss and effort. 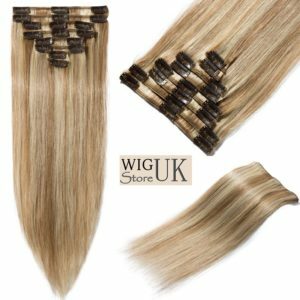 We pride ourselves on our Customer Service, we offer a discrete postage and packing service ensuring your purchase from us is private and confidential. 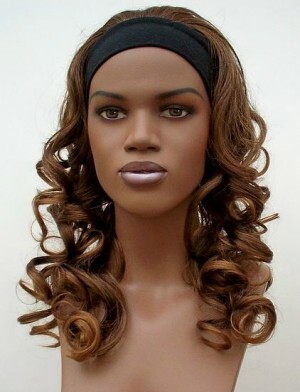 We will never advertise on the outer packaging. 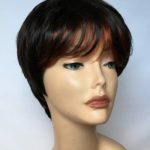 Our wigs have adjustable velcro or hooks at the nape of the neck to enable the wearer to tighten or loosen the wig to provide a secure and comfortable fit. 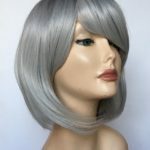 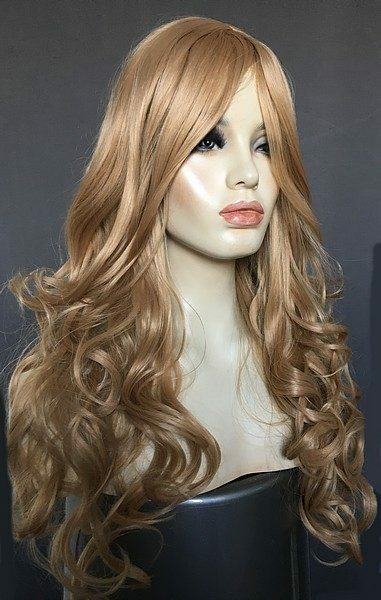 Buy with confidence from Wig Store UK, we are a UK based family owned and run company, we offer a discrete and professional service at all times. 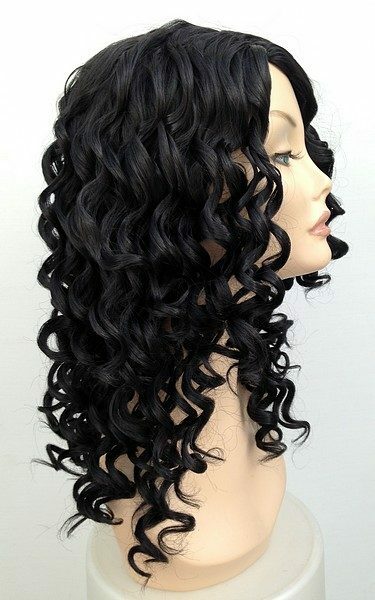 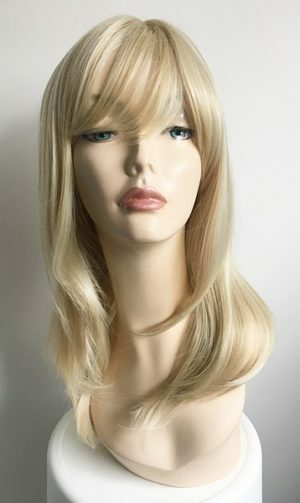 Find your perfect hair today with a fashionable wig from Wig Store UK. 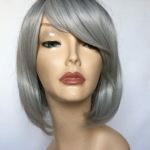 Brown grey mix ladies bob wig Maria. 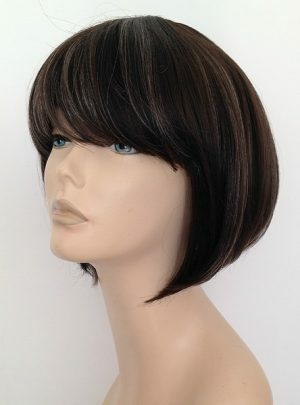 Fabulous ladies bob wig, dark brown base colour with grey strands for a natural classic look. 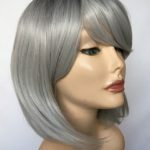 Modern wigs from Wig Store UK. 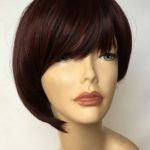 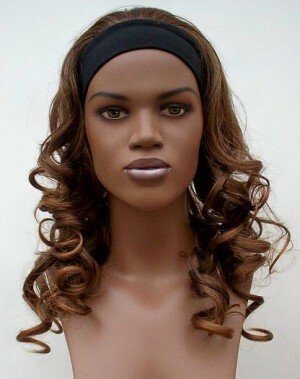 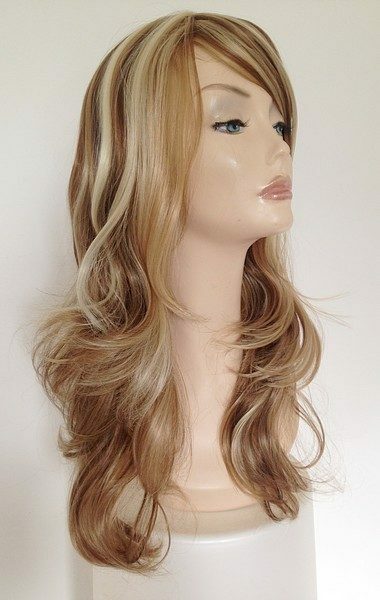 Fashionable ladies full wig in colour shade 2. 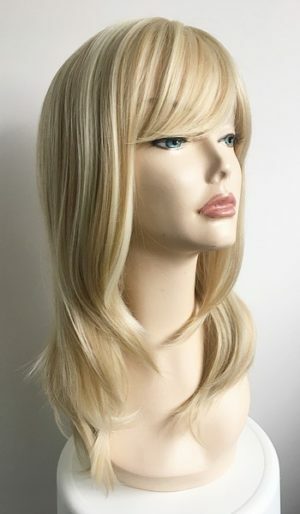 Central fringe parting and longer length. 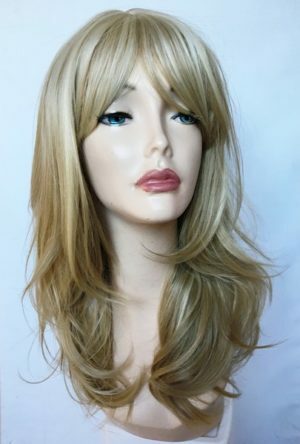 Wig Store UK wigs are simply fitted by adjusting the velcro or inner hooks on the underside of the wig, no need to use messy wig glue or tape, simply adjust to the correct size and you’re ready to go.